Helen Keller (1880–1968) was an American author, activist and lecturer admired worldwide for overcoming a severe disability – she was both blind and deaf. Helen became a symbol of courage in the face of adversity and accomplished many things during her lifetime. You can find out more about this intelligent and determined lady who devoted her life to helping others, despite her difficulties, below. Then explore our printable resources, which are the perfect way to bring her story to life with the kids. Helen Keller Day is celebrated on 27th June each year, particularly by associations helping the blind and deaf. Helen met 13 US presidents during her lifetime, from Grover Cleveland when she was seven years old, to Lyndon Johnson, who awarded her the Presidential Medal of Freedom when she was 84. Two films about Helen Keller have won Academy Awards. ‘Helen Keller in Her Story’ (1954) starred Helen herself and won best documentary, and ‘The Miracle Worker’ (1962) based on Helen Keller’s autobiography, won awards for best actress and best supporting actress. Helen also starred in a 1919 silent movie about her life called ‘Deliverance’. Helen Keller was born in 1880 in Tuscumbia, Alabama, to Arthur and Kate Keller. Arthur owned a cotton plantation and later worked for a newspaper, while Kate raised the family on their farm. When Helen was 18 months old, she became very sick with fever. She survived but lost her sight and hearing. It was difficult for Helen to communicate with others. In her frustration, she would often throw tantrums, kicking and screaming. 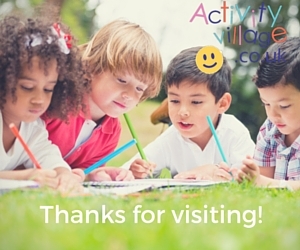 Helen loved the farm animals and playing with her younger siblings, Mildred and Phillip. But her parents were desperate to ease her sense of isolation. They were introduced to Alexander Graham Bell, who was working with deaf children at the time. The Perkins Institute for the Blind sent a recent graduate, Anne Sullivan, to work with Helen at home. Anne went blind as a child, although surgery restored some of her sight. This loving and determined teacher became Helen’s helper and friend for almost 50 years. 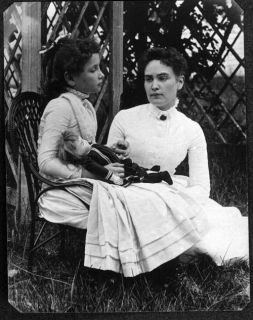 Helen Keller in 1988, when she was about 8 years old, with Anne Sullivan. Anne began teaching Helen words using a type of finger spelling. She would give Helen an object and press the letters into her other hand. Helen repeated the gestures back to Anne, but did not understand their meaning. Then one day, Anne used running water and spelled ‘water’. Suddenly Helen understood. She touched the ground, requesting its ‘letter name’, too, and by the end of the day had learnt 30 words. By the age of 10, Helen could read Braille and use a typewriter. She was desperate to talk, so Anne sought the help of another specialist. Sarah Fuller taught Helen to touch other people’s throats and mouths as they spoke, to feel the movements and sound vibrations. She began learning letters, sounds, words and sentences. Helen couldn’t hear herself, but was delighted to have a voice of her own. At a number of special schools, Helen even learned to read French, German, Greek and Latin! She became famous and met many influential people, including Henry Rogers, an oil executive, who offered to fund her education. At 16, Helen went to Radcliffe College, Massachusetts, and with Anne’s help as an interpreter, became the first deaf-blind person to gain a degree in 1904. During her time at college, Helen wrote an autobiography ‘The Story of My Life’, which was translated into 50 languages. More books followed, including ‘The World I Live In’ (1908). When Anne died in 1936, Polly Thomson, their long-serving secretary, took over as Helen’s constant companion. After college, Helen spent many years raising awareness for people with disabilities. In 1920, she co-founded the American Civil Liberties Union (ACLU) and was also an advocate of women’s rights. 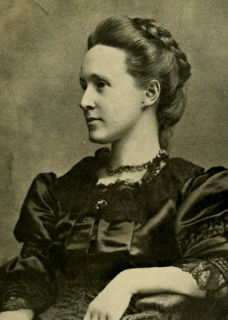 She raised money for disability charities, gave comfort to disabled soldiers in hospitals during the war, and travelled the world giving lectures on the rights of blind and deaf people. Helen suffered a series of strokes in 1961 and spent her last years at home in Connecticut. She died in her sleep, aged 87 – at the end of a unique and truly remarkable life. Helen Keller achieved many great things during her life, including becoming the first deaf-blind person to be awarded a degree - but can the children design their own award for her? Our booklets are a lovely way to record facts and information, and you can even collect them to make your own mini library! Younger children can enjoy colouring in this simple picture of Helen Keller as an introduction to topic work on this remarkable woman. Ask older children to read our short biography of Helen Keller, then answer some questions at the end to demonstrate their understanding of the text. Helen Keller was a remarkable woman who overcame severe disabilities to accomplish many great things during her life. Learn a little more about her by reading our factsheet. Helen Keller was admired worldwide for her achievements and her courage in the face of adversity. We think she'd be a fascinating and inspiring person to interview, and our interview worksheet lets the kids think of some questions they could ask her if she was a guest on a talk show. Use our notebooking pages to write about Helen Keller. Choose from two designs, the first of which also has space for a picture. Print this simple cartoon-style poster of Helen Keller and use for displays, and in project and topic work. 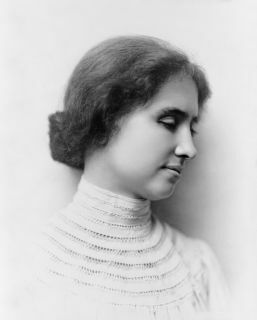 This poster shows Helen Keller from a portrait photograph taken in 1904, when Helen was about 24. Most photographs of her were taken from the same side, as her other eye protruded somewhat. She didn't let it hold her back, though, did she? "The best and most beautiful things in the world cannot be seen nor even touched, but just felt in the heart." Print out and display this lovely quote by Helen Keller, set against a heart-shaped sky. Here's a worksheet all about Helen Keller that should get the kids thinking. Can they think about what the quote on this worksheet means, then rewrite it in their own words? Our Helen Keller story paper is perfect for younger children who might be doing some research about this remarkable woman. 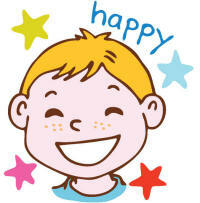 The pages come in lined or handwriting, each with a simple picture to colour in. Helen Keller accomplished many remarkable things in her life despite her severe disability - can the children fill some of these achievements in on this timeline worksheet, as well as other significant moments in her life? Start the kids off on their research about Helen Keller with our fun worksheet – either in colour or in black-and-white – and encourage them to think about what they would say to this inspirational lady if they met her! This colouring card showcases one of our favourite quotes from Helen Keller: "Keep your face in the sunshine and you cannot see the shadow". It's good advice, and perhaps the card would make a pick-me-up for a friend who needs help feeling cheerful? "Keep your face to the sunshine and you cannot see the shadow". This lovely quote by Helen Keller has been turned into an inspiring colouring page for all ages to enjoy. We've left a border so that you can frame it if you wish. This interesting worksheet features a quote by Helen Keller. Can the children write about what they think it means, how it could help them and then rewrite it in their own words? They can colour in the picture too. Here's a fun learn to draw tutorial - just follow the steps to learn how to draw Helen Keller!